MSR Platinum 35 ST has been specially designed for the studio/theater world, where consistent high-quality light output, high brightness and excellent color rendering are important. This lightweight, compact system delivers intense, cool-white light for the most amazing light experience. It's a powerful and innovative tool, giving lighting designers far greater freedom and delivering the same good light quality as other MSR lamps. The exceptionally short arc generates sparkling, bright light, and the lamp's ultra-compact design makes it suitable for smaller lighting fixtures. The MSR Platinum 35 ST lamp has a balanced spectrum with extra red content for enhanced color rendering. 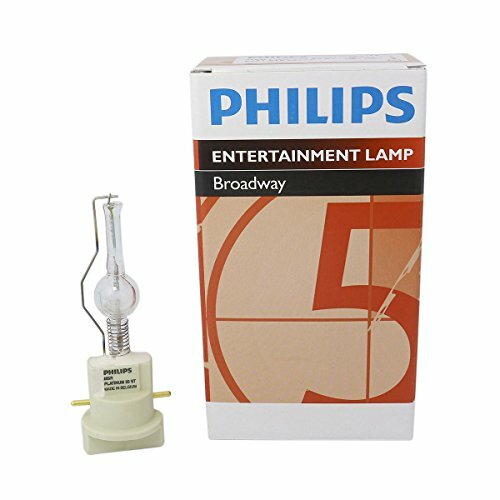 Reduced lamp replacement costs, and a more consistent lighting performance over the whole lifetime of the lamp.